The tax implications of emptying your traditional Individual Retirement Account (IRA) depend on how old you are and how much your IRA is worth. In addition to income taxes, the Internal Revenue Service (IRS) charges a 10 percent early withdrawal penalty on amounts you take from an IRA before you turn 59 1/2. Depending on what you use the money for, you may qualify for a penalty exception. Traditional IRAs are tax-deferred savings accounts designed to encourage you to put money aside and keep it there until you retire. If you qualify, you can take a deduction for your contributions and need not pay taxes on the IRA's earnings as long as they remain in the account. Beginning the year you turn 59 1/2, amounts you withdraw from your traditional IRA are penalty free and taxed at your income tax rate. If you want to cash out your traditional IRA before you turn 59 1/2, you are not subject to the 10 percent early withdrawal penalty if you become disabled. If you die before you turn 59 1/2, your heirs are not assessed the early withdrawal penalty, either. You can avoid the penalty if you use traditional IRA distributions to pay for health insurance premiums if you are unemployed for three consecutive months, or if you have unpaid medical expenses that exceed 7.5 percent of your income. Moreover, you qualify for a penalty exception if you withdraw amounts to put a down payment on your first home or pay for qualifying higher education expenses, including college tuition for you or someone in your immediate family. If you cash out your traditional IRA the year you turn 59 1/2 or later, you owe income taxes on the entire amount of the withdrawal. To calculate how much that would be, add the value of your IRA to your estimated adjusted gross income. Then, find out which tax bracket that amount places you in. 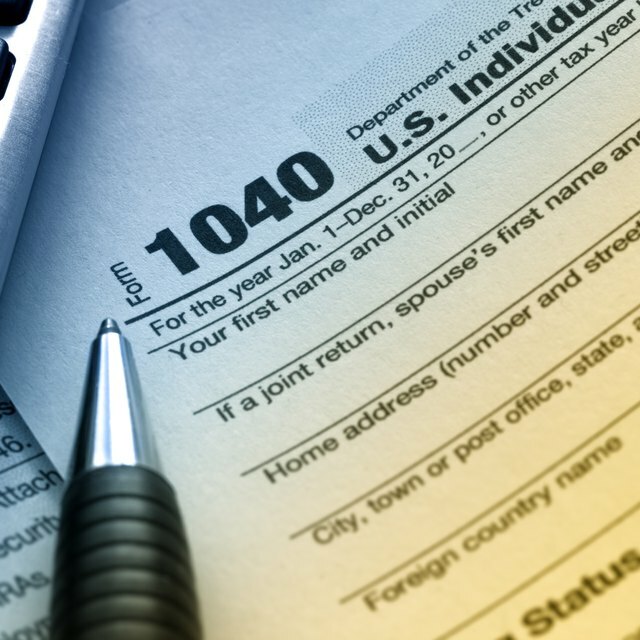 As of 2010, income tax rates top out at 35 percent for joint filers whose income exceeds $373,651 and single filers whose income exceeds $186,826. If the value of your entire traditional IRA would bump you into a higher tax bracket, you could spread distributions out over several years to pay a lower tax rate. If you have not yet reached the year you turn 59 1/2, you will owe both income taxes and the 10 percent early withdrawal penalty. To calculate your tax burden, calculate income taxes as outlined above and add 10 percent of your traditional IRA's value to the amount. To lower the amount of the penalty, consider whether you could apply portions of a distribution toward expenses that would qualify for a penalty exception. People often have a large portion of their savings stashed in their IRAs, and at times it is necessary to draw from them to meet big expenses. But whether or not you qualify for a penalty exception, consider that dipping into your traditional IRA before you retire lessens its tax advantages. Because your IRA acts as a tax shelter, you can reinvest 100 percent of your account's earnings without deferring a portion to taxes. Left to compound over your working life, this tax savings can translate into a large portion of your retirement nest egg. IRS Publication 590: When Can You Withdraw or Use Assets?